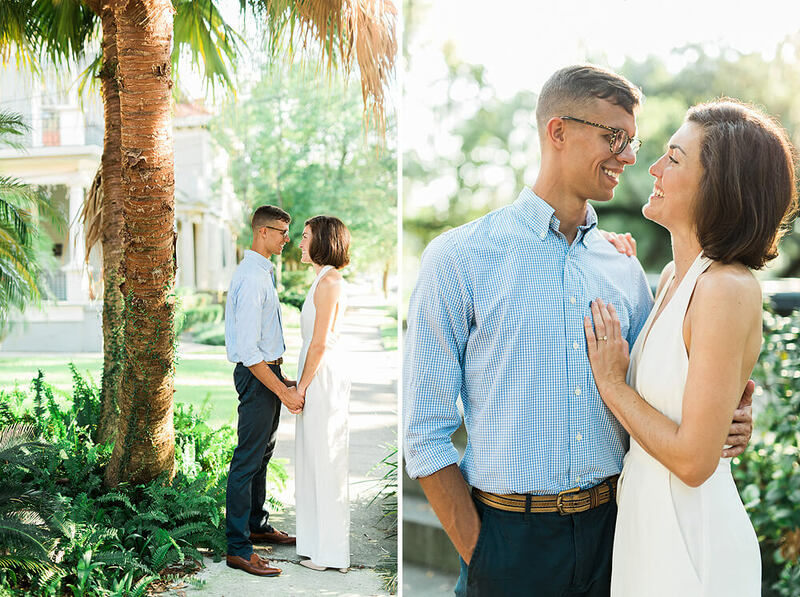 For Jenn and Jacob’s engagement session, we walked around City Park and Bayou St John in New Orleans laughing and talking about Magic The Gathering. 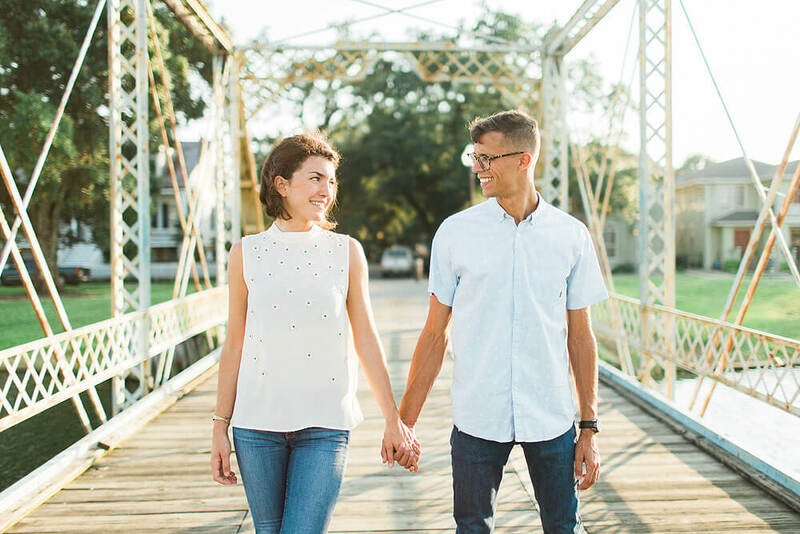 Bayou St John is one of the prettiest spots in the city and I love it when I get to take engagement photographs there! 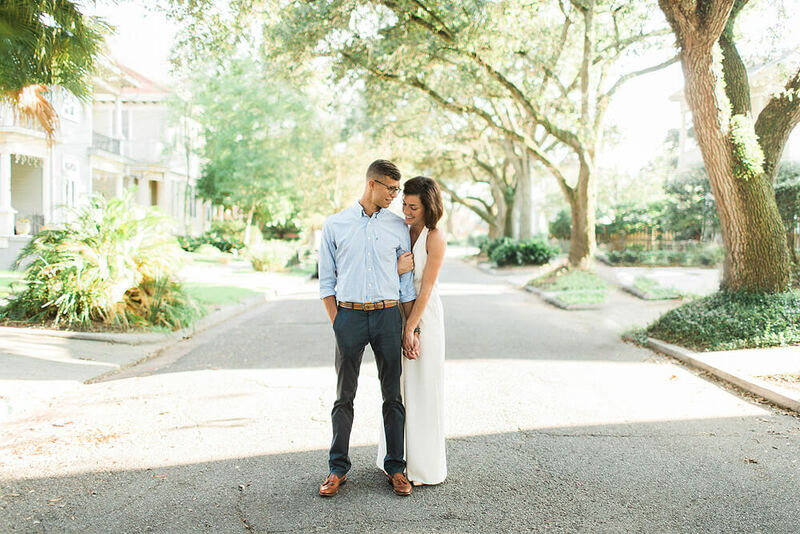 This time of year is one of my favorite times for portrait sessions, especially in Bayou St John. The evenings are just a little bit cooler, and there is always the most wonderful breeze. It seriously makes up for how hot Louisiana summers are! 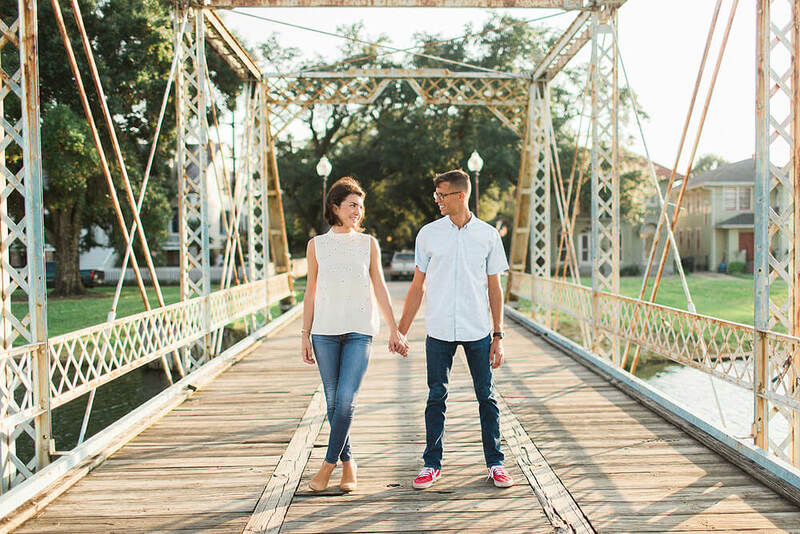 First of all, I have to say that the best part about this session is that I actually photographed Jacob’s mom’s wedding at Race & Religious a few years ago. I absolutly adore Jacob’s mom (Sherry!) to a million tiny bits and pieces. She is one of the most fun and free spirited brides I’ve ever photographed. 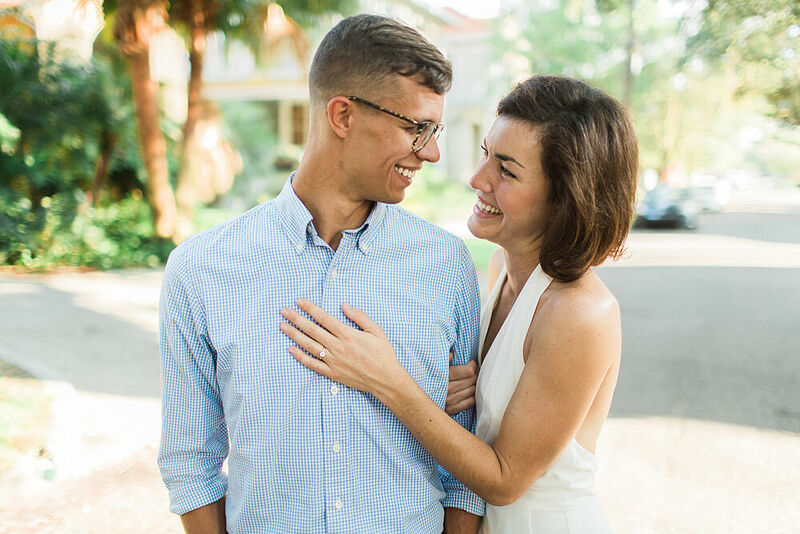 To this day, I still smile to myself whenever I come across her wedding photographs on my hard drive or see them floating around Pinterest! 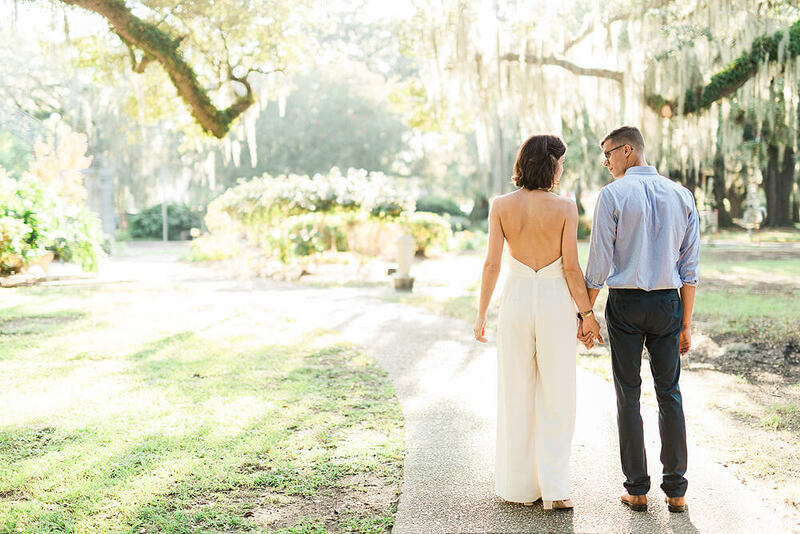 Earlier this year I donated an engagement session to the Zoo to Do silent charity auction. I was crazy excited when I found out that Sherry was the high bidder and not long after, I sent her a note to set up a time. At first I assumed that she just wanted photos of her and her hubby. 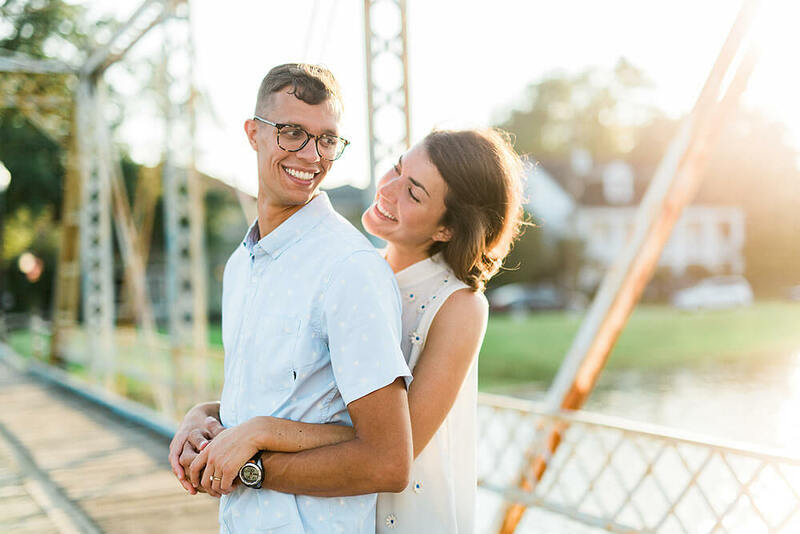 However, right after I emailed her, I found out that her son was engaged and she bid on the engagement session as a surprise for him and his new fiance! It was the sweetest thing ever, and really meant the world to me that she wanted me to photograph them. Anyway, here are some favorites! 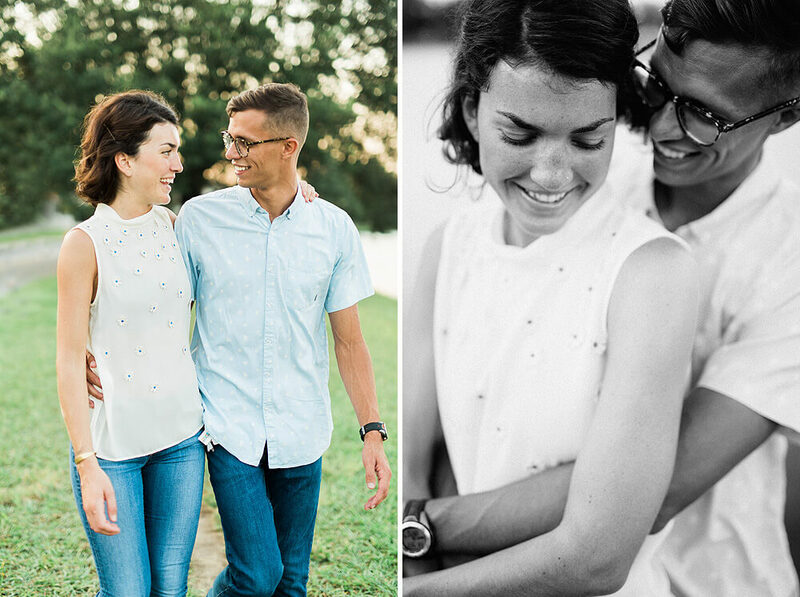 I was going to wait until I got the film images back to share these, but I love them so much I couldn’t wait! Happy Tuesday!